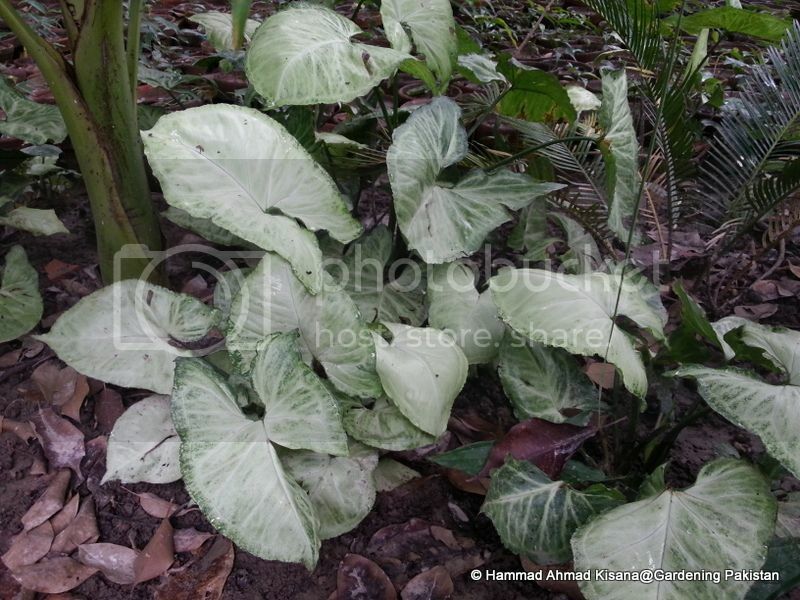 This plant closely resembles our common "caladium" with its beautiful variegated foliage. 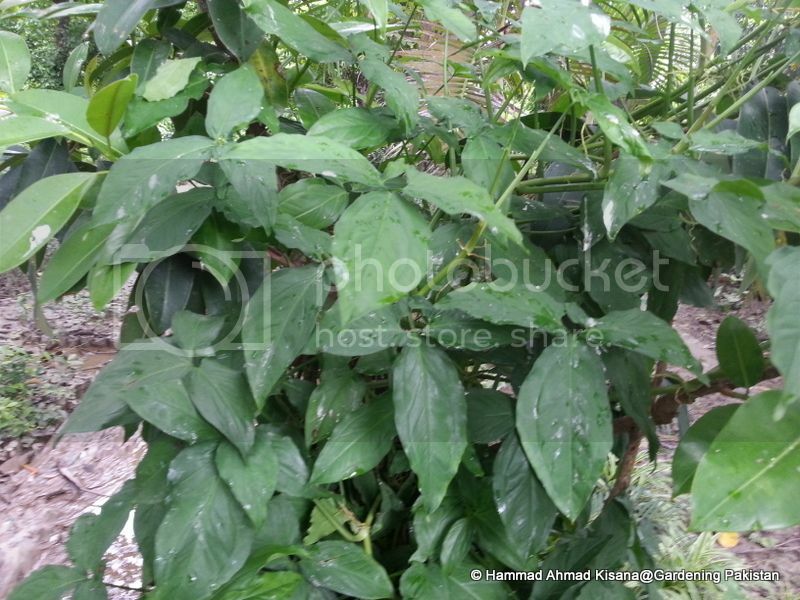 Syngonium has become a common foiage plnat in Pakistani households. 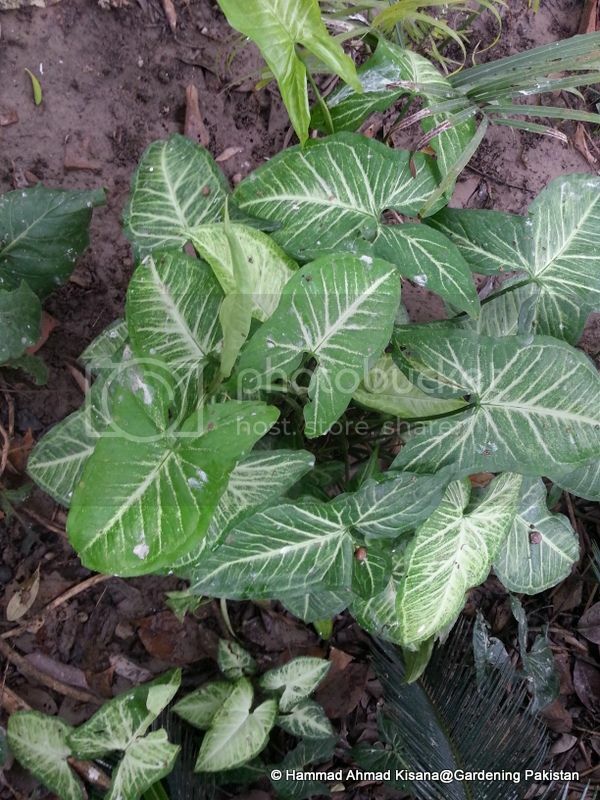 This plant has an unusual feature of changing its leaf shape with maturity. The young leaves, which look like arrow heads, change to glossy leaflets as seen in the last picture in an adult or old plant. This phenomenon is known as ontogeny and is similar to humans features e.g. a child's vs. an adult's face. A pink variety of Syngonium was also seen in Karachi...however the pink variety is difficult to maintain in terms its colour. Pruning tip: To keep arrowhead plant bushy and full, prune out the older, climbing stems as they grow. Cut them back in early summer and you can propagate the stem tip cuttings. Thanks Mr. Ali. I have edited it. does changes in feed effect the colors of syngonium.how much light they need etc,please help.